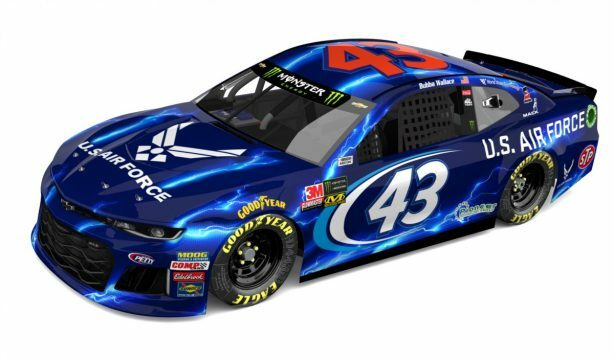 JOINT BASE SAN ANTONIO–RANDOLPH, Texas – The Air Force and Richard Petty Motorsports announced today they will continue their 11th consecutive year of partnership together in the Monster Energy NASCAR Cup Series in 2019. The Air Force will continue to be a two-race primary sponsor of the famed No. 43 with driver Bubba Wallace, as well as a major associate throughout the season. NASCAR Hall of Famer Richard Petty and successful business entrepreneur Andrew Murstein, is one of the most recognized brands in all of motorsports. RPM is the winningest team in NASCAR Cup history with 273 wins and has business partnerships with national and global leaders. Today the race operation fields the famed No. 43 in the Monster Energy NASCAR Cup Series with driver Darrell “Bubba” Wallace Jr. The team is headquartered in Welcome, N.C.